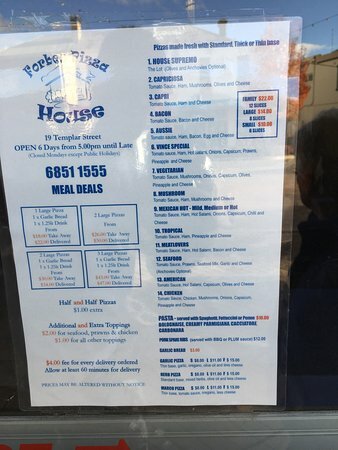 There aren't enough food, service, value or atmosphere ratings for Forbes Pizza House, Australia yet. Be one of the first to write a review! 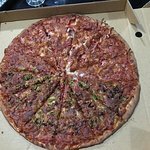 Best Gourmet Pizza in Town.Better than Dominos by a country mile.Great recipes quality ingredients good old fashioned pizza Forbes has many hi...Takeaway and dine in pizza and pasta. Cycling weekend from and about Forbes always ends with a trip to the Pizza House. The pizzas were delicious and filling. The staff were very accommodating and efficient. Visited with seven other hungry cyclists who would all agree. Pizzas are alright, but it always takes so long to get a takeaway order that it's just not worth it! 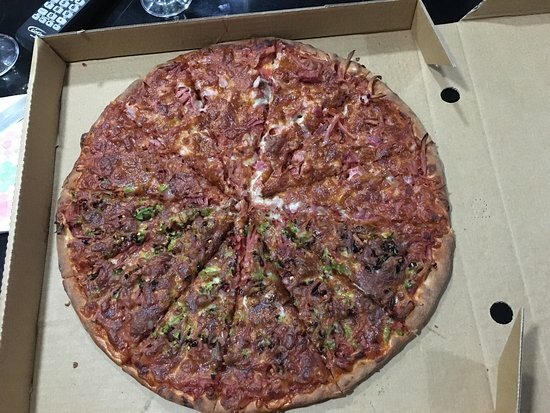 Without any exaggeration, you need to order an hour before you want to eat for a standard couple of pizzas. Takeaway and dine in pizza and pasta. 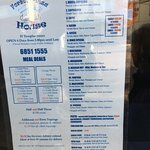 Top quality and good value Takeaway and dine in pizza and pasta. Open Tuesday to Sunday evenings only. Best breakfast ever! I love this place! The barista made exceptionally strong coffee, just hoe a coffee should be made! I recommend anyone that visits Forbes should stop in! Nothing to get excited about but the food was nice. The staff were friendly and the prices reasonable. Get quick answers from Forbes Pizza House staff and past visitors.